Dual purpose eye wash/drench hose unit for deck mounting. Unit meets the provisions of ANSI Z358.1 - 2004 as both an eye wash and a drench hose. Unit may be left in the deck flange for use as a fixed eye wash, leaving user's hands free. Alternatively, unit may be removed for use as a drench hose to rinse any part of user's eyes, face or body. 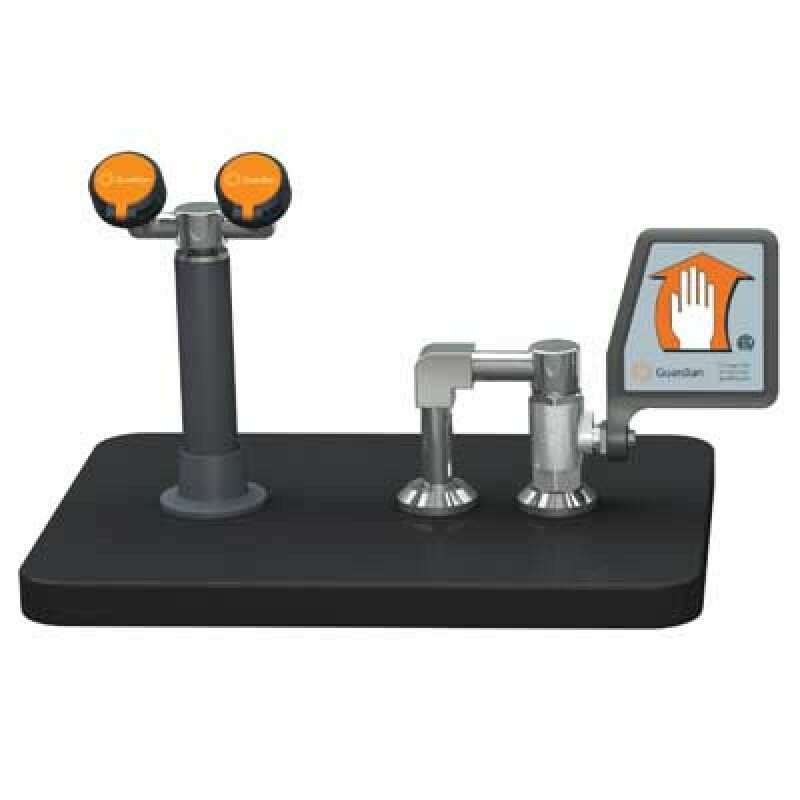 Stay-open ball valve is mounted above counter and activated by flag handle. Includes 8" reinforced PVC hose.